Sleeping Beauty's three good fairies beam with pride as they watch their dear Aurora and her handsome prince waltz around the ballroom. 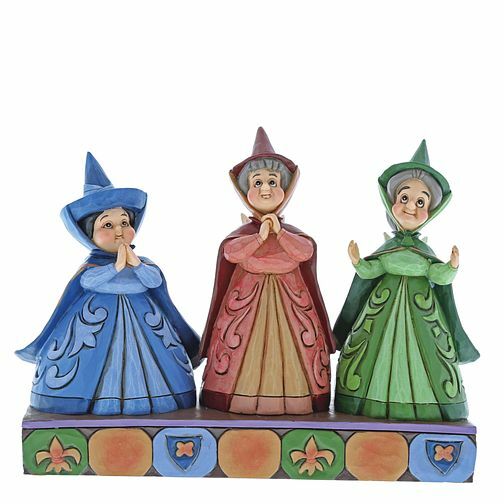 This piece features Flora, Fauna and Merryweather in their signature dresses and delicate wings. The figurine is made from resin. Each piece is hand painted and slight colour variations are to be expected which makes each piece unique. Supplied in branded gift box. Not a toy or children's product. Intended for adults only.